Have been to busy to blog for a few days but on Thursday had a great afternoon in Haltwhistle, culminating in tea at Tynedale Grange - which is always a gastronomic event, as Ida can really bake. Much discussion as to the demise of Greenholme and the fate of their new hospital - which I am assured will go ahead. Went to Egger today with Mark Francois, Shadow Minsiter for Europe and were once again hosted by Bob -who gave us an update on Egger's progress, and their investment in the plant. Egger plays a key role in this community. 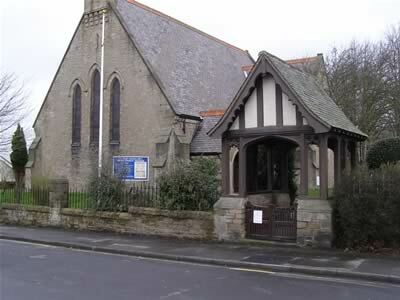 The Reverend Charles Hope had gone to great effort to organise a Prudhoe hustings in his church in the centre of Prudhoe, and it was a credit to him that it went so well. Dr Shaw brought many of his students from the school. We were grilled for nearly 2 hours on all subjects from Deficit reduction, Hung parliaments, climate change, jobs for young people, global poverty, public / private sector work in the North East, gay rights, the loss of Tynedale, the role of faith and the Big Society / localism. Best line of the night was when Margaret Thatcher was mentioned negatively [this time having caused global warming] I was forced to point out that "I know she is not revered round here but even she did not cause global warming". Also a nice man called Phil - who "lamented" the lack of Conservatives in the North East - did not take my £5 bet that the Conservatives would win Sunderland Central on may 6th. Had spent the day canvassing in South Prudhoe - bumping into Bill Garrett - and then in Stocksfield, and spent an hour in the Manors meeting residents. “I have no idea to this day what them two Italian ladies were singin' about. Truth is, I don't want to know. Some things are best left unsaid. I like to think they were singin' about something so beautiful it can't be expressed in words, and makes your heart ache because of it. I tell you, those voices soared. On the subject of Hope Andy says: “Remember, Red. Hope is a good thing, maybe the best of things, and no good thing ever dies." Richard Dodd and his team delivering and canvassing in Ponteland on Saturday morning. Whilst I went to the Merton Hall, met people on the street and went briefly to the farmers market Richard led one team out in the north of Ponteland while the other councillors were out in the east. Campaign team growing by the day as well - we have the full cross section from 14 to late seventies! This picture is taken in Blenkinsop - which is a beautiful village. Seen here in front of a house called Viagra Towers - which made us laugh a lot. Mind you it had been a long day. One man said "I have lived here in Long Byre for 48 years and noone has ever knocked on my door"
Just back from the debate in the abbey where nearly 500 people turned out; a good evening - which was run very fairly by Graham Usher - with an amazing evensong service beforehand. We were asked over 25 questions and scored a few real hits - particularly on local issues, support for local businesses [only Dr Ford and I are having our literature printed locally - the Labour party lealfets are printed by Trinity Mirror in Cardiff and the Liberals in Sheffield] and the way this government have run down our economy and starved our armed services. Dr Ford had a good night and came across well. "I last came to this church 50 years ago. I was fined a shilling when I ate a sweet in the service." Then he leant in conspiratorily and said quietly, "Fancy a cough drop?" Well done to the Abbey for organising this - these things take great organisation, effort and time and they should be applauded for this. Pubs are closing at a rate of 40 a week nationwide. The Crown Inn is different - it has reopened after a long period of being dormant. I first went there last June during the European Elections and it is plain to see why it does well: it serves local food, and best of all the local beer is from the Local Allendale Brewery. All credit to the Hick family. There's was another idea to have an evening of political debate in the election, so last night I was grilled on my local campaigning, social housing, and views on the general hospital, tynedale, trident, climate change, international aid, transport, planning laws, rural post offices, banks, local tourism and lots more. It was standing room only but then there were only seats for 50! A great community evening, which I really enjoyed. Canvassing in Acomb and Catton during the afternoon and had spent the morning giving the address to the Beacon Club in Hexham on the subject "Murderers and other miscreants I have prosecuted": a pleasure to be asked and you can never fail an audience when you describe murder trials you have prosecuted and criminals you have put away. Monday was villages day - a swing through the north eastern villages of Stamfordham, and beyond; we are seen here on Stamfordham village green, with the local parish and county councillors and the 2 amazing Dans - who later distinguished themselves in Ponteland. After Stamfordham we canvassed Ogle, Kirkharle and then Kirkwhelpington. Lunch in Kirkharle cafe was delicious. This Matt cartoon made me smile. Good luck to the Graeme and the team at Newcastle Airport now they are up and running again and as they try and navigate their way out of this bad week for everyone. The team at the Forum Cinema have invited the candidates to submit a movie of their choice which will be shown on a specific day at the cinema. 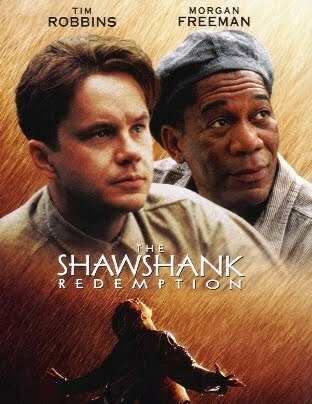 I have chosen the Shawshank Redemption, which will be shown at the Forum cinema on Monday 26th April; it is a film I have seen several times, which is brilliantly told, with great acting. As someone who has long championed prison reform it is also dear to my heart as it says much about what is wrong about prison and the criminal justice system - even today. Having done over 100 Crown Court Trials as a lawyer in my early days as a barrister, and a significant number of murder trials, I have seen too much about prison and its effects that need changing. It is one of the great ignored issues of public debate sadly. "As the country prepares for a general election Parliamentary candidates for the Hexham Constituency have been invited to introduce a film of their choice to be screened at the community owned Forum Cinema. 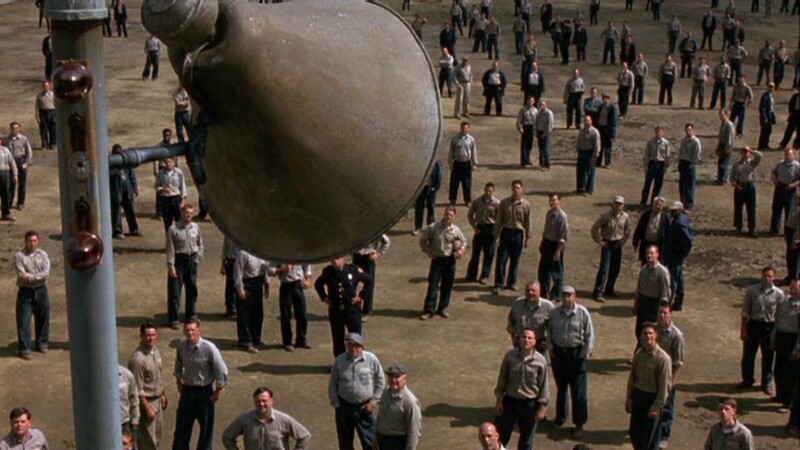 This is your chance to see the candidates and make your choice…….of films!" It is sad to say that there will be a BNP candidate in the Hexham election: I hope we get a chance to debate because their extremism needs to be exposed in a proper debate. So far I have run into four BNP voters - 3 in Prudhoe and 1 in Haydon Bridge. One lives in or around Highfield in South Prudhoe; I canvassed him and he refused my leaflet, said he was a BNP, and then loudly proclaimed to my back as I walked away, "all of you candidates, all you politicans, are corrupt." Normally, I do not get involved when someone is so directly opposed but maybe it was the long day on the hills of Prudhoe or the malicious comment to my back that made me see red but I turned and a fairly robust conversation ensued. I tried to explain that I was leaving my job to do this, and that my fellow candidates were all fighting this campaign unsupported and unpaid in any way, and that whilst I disagreed with their politics, they were not corrupt. Again I pointed out that the candidates I knew were actually motivated by a desire to serve, to contribute to a country they loved and to try, in their own small way, to make things better. He tried immigration at length. I asked him if I was all right as an Englishman? He agreed. I left by pointing out that I was actually a descendant of immigrants who came to this land in search of a better life, and left. Thats why we need to debate with the BNP - if you argue the case with them extremism will not win. Friday: Haltwhistle at 8am - meet in the station car park, then canvass in Haltwhistle; then 1 team will go to Carlisle and 1 will stay in Haltwhistle. Slaley was the highlight of the day as we all stopped for lunch in the village hall and supported Albert Weir's charity sale. Bought a few things, including a big cooking pot and we all ate too many of the home made cakes in the tea room. Albert has become a friend and his efforts on behalf of charity have to be seen to be believed - and it was great to support him. Suitably laden down with home made jam, cakes and bric a brac we canvassed in Slaley, the Shire [great conversations on the doorstep in Whitley Chapel and Juniper] before going down to Whittonstall; long chat to the campaigners against the open cast - reassuring them of my support. Finished up by canvassing Headley on the Hill with local councillors, meeting several members of the aprish council there. Rested sore feet in the Dr Syntax pub in New Ridley before finishing up in Barrasford in the early evening. Had started between 9-11.30 in clear sunlight on the Broadway as teams of helpers led by Councillor Richard Dodd and Veronica Jones fanned out on Middle Drive, the Lairage / Ladywell and Duns Green. We spoke to hundreds of voters in Ponteland alone; saw my first Liberal poster in the Ladywell. Last vestiges of sunlight in Corbridge after a long day; started at 9am with breakfast in Wylam - the cafe there does the best bacon roll in the county. Then on to Ovington [bumping into Councillor Paul Kelly] and Ovingham, where we canvassed the big estate. - one man said that God was sending us the ash cloud as the Icelandics could not spell. The message he had sent was "send the cash back to england not ash"
- one lady on being asked how she was that afternoon said "Well we don't have any orgies anymore!" Michael and I were taken aback by this. Campaign Update - want to get involved here or come on tour to neighbouring campaigns? Its a cloudy day and the sun kissed weekend seems miles away. Going out in Corbridge in the afternoon with Michael Bates, the former MP for Langbaugh, then on to Stannington with the force of nature that is Mel Armstong; am being helped by a team of volonteers who sometimes number 1, sometimes 20. Lots of people giving up their weekends to come and help. I cannot thank them enough but they are all united in their desire to turn this country around. - and Sunderland Central - Monday May 3rd in the afternoon; described as David Cameron's "wild card" Lee Martin will win. His is a unique campaign that is redefining local politics; simply email in or call if you want to help or just turn up! On the campaign trail today there was much discussion about the TV Debate. Spent the morning on the Wall, then in Hexham, popped over to Stocksfield and finished by canvassing at length in Acomb. Ended up + a pint in the Sun Inn, digesting much discussion from voters as to the limitations on the TV Debate - which bizarrely has 78 rules, as Matt makes abundantly clear in his cartoon today! I suspect the viewer will want a cross between a church hustings - of which we have two here in Hexham - and Question Time. I did a TV Debate last weekend in Berwick which had a significant degree of cut and thrust; it was the first time that I had met Dave Anderson, the MP for Blaydon. He is not of my persuasion but is a man passionate about his cause. My standout comment from him was when he said to me before the debate -"I know your point of view and I know mine [although on air he actually disagreed with his own policy] but do you have any idea what the liberals stand for?" A long campaign took its first serious steps tonight; many of us went to Haltwhistle to the Western Area Committee meeting to be there when Edward Heslop and the various members of the Wark and Birtley parish councils, [and big helpers from Bellingham!] presented their petition to the chair of the Western Area Committee, Colin Horncastle. This will be a long journey but 1200+ names on a petition and many hundreds on a facebook petition are a big step. All credit to all of the locals who did so much. We wait now for the survey and the Council's response to the petition. Spent the morning myself in Allendale, lunch in Hexham and evening in Haltwhistle canvassing either side of the western area committee meeting. Campaign Poster report - the lambs say "we like them!" Angus, John and the rural poster team have done amazing work with our poster campaign. However, they are also proving particularly popular with the lambs as they make an ideal wind break to shelter behind. Saw several tourists taking pictures of the lambs sheltering between Wark and Humshaugh and had to take a picture! A beautiful day started in Bellingham [the bakery has just started selling bread - had to buy some] and ended in Haltwhistle with much campaigning in between . In Haltwhistle we kept bumping into former Labour councillors and I canvassed next to Alan Sharp at one stage. We ended up in Westlands next to the fire station. Travelled up to the Maltings in Berwick on Tweed to debate elderly care and pensions on the Politics Show; also on the panel were Dave Anderson from Blaydon and Simon Reed from Wansbeck. ii). pensions reform by asking pensioners to work longer to age 66 if they are 59 [men] and women to work till they are 66 as well. Lunch at the legendary Piccola restaurant on Front Street in Prudhoe. A team of 18 canvassed all over Prudhoe for the day; highlight was watching young Ben Brown [Ponteland High School's star runner] being pursued by a large labrodoodle dog in South Prudhoe. Despite being fit it took Ben a good 200 yards to outpace the hound. Hosted a visit by Nick Herbert, MP, shadow secretary of state for rural affairs, who met with the farmers, national farmers union reps, councillors, Northumbrian Water and various other key players in rural Northumberland. A packed day included trips to campaign in Corbridge, Oakwood [seen here], Haydon Bridge ending up in the Railway Pub and then off to catch the NCC Planning meeting to lend support to the 02 protesters. Great result for the 02 Protesters who were out in force with Ian and Karen leading the way. The council members spoke eloquently and well in favour of the article 4 application which was passed. "The Government's proposal to increase national insurance, placing an additional tax on jobs, comes at exactly the wrong time in the economic cycle. In a personal capacity, we welcome George Osborne’s plan to stop the proposed increase in national insurance by cutting Government waste. In the last two years, businesses across the country have cut their costs without undermining the service they provide to their customers. It is time for the Government to do the same. Few would argue that the state cannot improve. In the last few years, the private sector has improved its productivity by around 20 per cent, while productivity in the public sector has fallen by three per cent. Savings can be made by removing the blizzard of irrelevant objectives, restrictive working practices, arcane procurement rules and Whitehall interference. Mr Osborne’s announcement marks the beginning of this debate. As taxpayers we would welcome more efficiency in government. 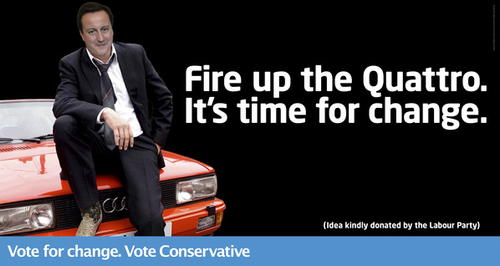 As businessmen we know that stopping the national insurance rise will protect jobs and support the recovery. Cutting government waste won’t endanger the recovery – but putting up national insurance will. Posters going up - thank you everyone who has volunteered land and is doing the legwork putting up the posters -we could not do it without you! Deliverers out in force all across the county - we have over 150 volunteer deliverers in this campaign all giving their time and energy for free and members / helpers coming from everywhere. I spent the evening in Humshaugh and the late afternoon north of Alston, tracking the villages that follow the South Tyne river and the Pennine Way; then stopped in Halton Lea Gate, which is a great village right on the Cumbrian border, where we have spent a lot of time fighting the open cast mine. Meet Prudhoe station car park 4.45 Friday afternoon and then Saturday at 10 am if you want to come and get involved and change your country. Labour have employed a 24 year spin doctor / ad guru who has gifted free advertising to us - as all the surveys, voters and polls show their latest attempted negative ad has actually increased voter support for us. The economy matters in this election and the National Insurance row that has seen the Labour party pitched against all of business who see his tax on NI as a tax on jobs has changed things. Several businessmen have commented on this since the debate has begun this last week. All spoke about our position as being the right one - for as one put it "private sector jobs and businesses are the only thing that is going to get us out of this mess." Todays Guardian makes it clear that even it is tired of the maladminstration and corruption at the heart of this Government. My former fellow jockey Charlie Brooks writes a lot of sense on the countryside. Read his article on the scandal of the quangos that hinder rural way of life. There are over 60 quangos under the DEFRA control with such bizarre useless names as "The advisory Body for the delivery of Official Controls" and the "Food Sampling Co- Ordination Working Group"- I swear you could not make this up..
April Fools day - a time for the Queen Gordon? Wish Gordon would go to the Queen! - Almost five million people are on out of work benefits. - Over one million violent crimes were recorded last year. - The poorest families are paying a higher share of their income in tax than anyone else. - Government debt is growing by millions every hour - with the Government spending more on debt interest than on educating our children.